You may recall that last year we hosted our first writing contest, offering readers the chance to win a pretty awesome prize if they were able to impress us to the point where swag started flying magically towards them like some bored mage was getting frisky with a levitation spell. This year is no different, other than the fact that we’ve tweaked the rules somewhat to cut down on the number of odd entries this year. Last year we actually got someone entering by saying that they couldn’t think of anything to write, but would like us to give them the prize anyway. Inspired. The hundreds of entries we had last year were whittled down as far as we possibly could but, in the end, the choice was so great for the winning spot that we had to introduce additional placements to accommodate. Those who entered the contest and went on to become a writer for GamingLives have done some incredible things in the last year, including interviewing the founders of BioWare – Dr Greg and Dr Ray, attending numerous press launches and exclusive behind-closed-doors presentations with some of the biggest names in the business, got hands on time with games months before release and got to rub shoulders with greatness on many occasions. As well as all that, they had their work read by over 100,000 people every month… not too shabby! This year, you could be doing the same. What do we have to do to enter? You’ve seen the site and what we do here, so what we’re asking is for you to put yourself in the place of a GamingLives writer and submit something that you think will appeal to an audience… whether it makes them sit up and take notice of something that they may not necessarily have considered before, or just to put a smile on their face with a comedic piece. Feel free to submit reviews, but please make sure that they follow the same format as those published on the site with pros, cons, and summary. Ideally, we want you to be yourself and have genuine personality and enthusiasm rather than attempt to be the Will Self of the gaming world, so do whatever you think best represents you as a gamer. We’re not looking for the next Jeffrey Archer. One is enough. We also ask that you include a little bit about yourself, much like we have on the writer bios here on the site. That way we can separate the actual gamers from those who just want a free console. Entries can be sent until midnight on January 31st 2012, at which point we’ll lock it down so anyone submitting after that point will not be eligible to enter. Will taking part or winning make me a writer for GamingLives? Not necessarily, although the option is there. Being a writer for GamingLives is more than just the ability to write; it’s about having drive and enthusiasm so that if you happen to find yourself in front of some famed developer in an interview situation, you don’t end up staring at your shoes or asking the video game journalism equivalent of “So, how did the band get together?” or “What’s your favourite colour?”. If your writing shows promise, whether you end up being the winner or not, you may still end up being asked to join the team – it happened last year but, as we’ve said before, you are under no obligation to continue writing. No "SWAG" bag inluded; we're not 1950s robbers! 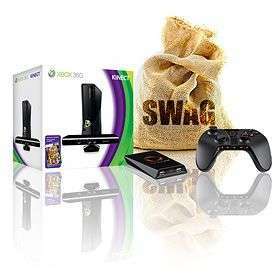 This year we have only one prize bundle, so if you’ve already got a 360 then you can use this one as a door stop or learn to play with two controllers and online co-op with yourself. At least that way you won’t have to put up with idiots screaming at how you’re at the back of the pack in NFS: Hot Pursuit and must be spending all your time in the donut shop. Along with the prize, the winner will have their article published on the site on Monday February 6th so that it has full front page coverage until the following week and will continue to have it publicised with a front page ad for the entire month of February, on display to around 120,000 visitors. Surely there must be rules? Yes there are, and don’t call me Shirley. We’re not going to slam down a five thousand word tome and expect you to read every word before you enter the contest; we just need you to follow these few rules so that everything can be handled fairly. All entries must be 100% your own work. Articles should be at least 750 words in length, with no upper limit. You may enter as many times as you like as long as each entry is unique. The entry should be previously unpublished but can be republished elsewhere afterwards if you so wish. 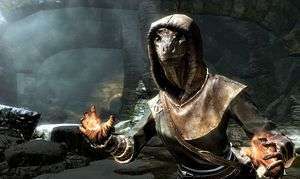 Entrant agrees that the article can remain on the GamingLives site after publication. All articles should be spell checked and, where relevant, fact checked. We will accept entries in txt, doc, docx, pdf, rtf and wps format. Entry is open to anyone, from any country, as long as they’re over 16 years of age. Please email writingcontest@gaminglives.com if you have any questions. Good luck, everyone! I entered this last year and came 2nd. Got me motivated to write on a regular basis and now I write up reviews for every film I see on my site The Film Dump. Just for fun and practice though. Have had 2 of my reviews published in the trade paper for the company I work for. Was pretty awesome coming second, the guy that came first wrote an excellent article. Way better than what I had done. I really enjoyed hearing what people thought of my entry. Good luck to anyone that enters. This years prize is pretty insanely good!